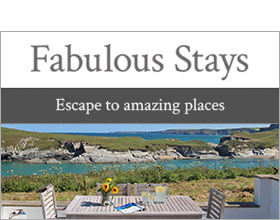 Famed for alluring beaches and clear blue bathing waters, the sublime St Ives and Carbis Bay offer sun, sea and a picture-perfect holiday ambiance all within a short distance from this beautiful traditional Cornish stone cottage. Situated along a tranquil country lane, yet within walking distance to the world class beach at Carbis Bay, is this comfortable character cottage - perfect for a romantic break for couples or for friends and families to relax, unwind and escape every day life. Discover the charming town of St Ives just 2 miles away with its cobbled streets and alleyways lined with pretty cottages and a rich variety of art and craft galleries where you can watch artists at work. Just a short walk from the heart of the town is the train station, where one of the most spectacular coastal journeys with breathtaking views from Carbis Bay to St Ives can be enjoyed. The coastal walk from St Ives to Porthminster Beach is worth a visit any time of year for the azure waters and brilliant sands in the summer to the contrasting vibrant wind-whipped surf during the winter months. There are so many good things to do here, you'll find it hard to fit it all into one week but if you can find the time, Land's End, St Michael's Mount, The Minack Theatre and the Tate Gallery should also feature on the itinerary for those who want to experience the very best the area has to offer. For that special break, go the extra distance to the exotic Isles of Scilly by ferry boat from Penzance or by plane from Land's End. Golf enthusiasts can try the links course at Lelant which has a magnificent setting, with panoramic views of St. Ives Bay and Godrevy Lighthouse forming the backdrop. The open-plan living room with distant sea views and a well fitted kitchen/dining room are cleverly divided by a central staircase. With solid oak flooring, traditional sash windows, painted wood panel ceilings, pristine white walls and a wood burner set on a raised hearth Trehan creates the perfect environment in which to relax and enjoy a high degree of comfort whatever the time of year. Downstairs, the bedrooms are immaculately presented in neutral tones with coordinated linens, and a spotlessly clean blue and white shower room completes the interior. Private and enclosed, the south facing patio and pretty lawned garden is an absolute sun-trap for lazy breakfasts, sizzling barbecues or an evening tipple.